MONTREAL is charming is culture is character. She lures you in and embraces you all at once. 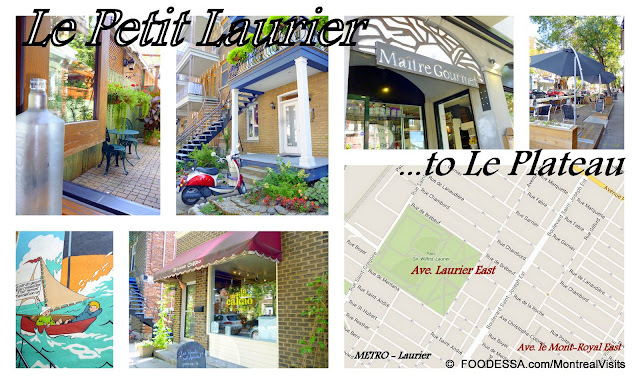 Corner bistro in the Villeray district...center of the local action. This is where I was born, raised, lived and eventually thrived. Montreal's irresistible magnet pulls me back in every time. Montreal's East End: 'quartier' Hochelaga de Maisoneuve. After having touched upon several experiences, especially managing my own Bed and Breakfast, none other than blogging for the last six years could have prepared me for what I'm announcing today. experience Montreal 'quartiers' outside the realm of the typical food related group tours. Unique, escorted visits for you and the people you decide to share it with. Open air Latin American style eaterie in the Laurier East quartier. Customized, private visits for the food and travel enthusiast. Cities are usually best seen on foot and Montreal is no exception to this thinking. some intriguing 'quartiers' are just a little further and ready to reveal their secrets and splendors. 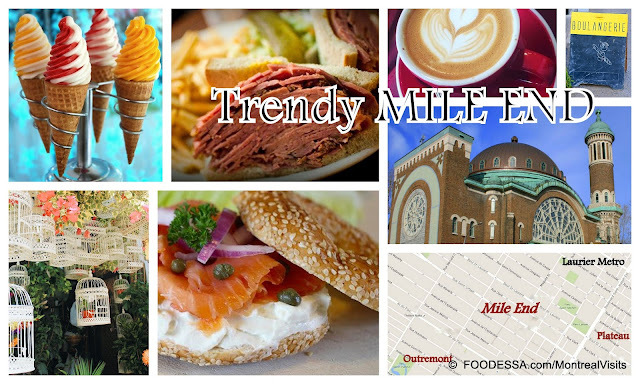 Looking to avoid large groups of food related city tours? Would you like to choose from suggested food options and stops that attract you? Do you want to avoid going only to places where there are authorized tastings for bigger groups? Do you prefer personal attention when considering being escorted around Montreal etc? leisurely visits in some of Montreal's interesting quartiers. 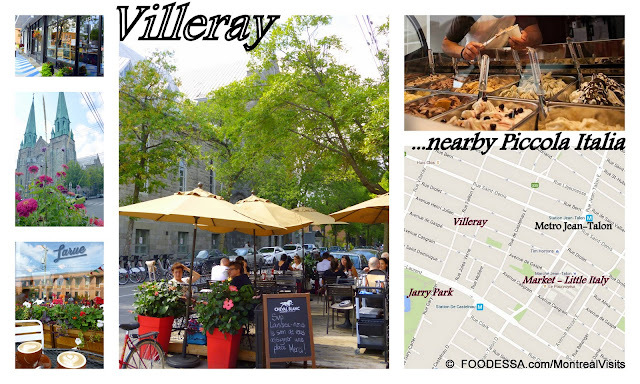 Villeray district: Neighborhood shared street garden next to restaurant. Hosting private and unique signature visits. Immerse yourself in neighborhoods that you would want to call yours. charming eateries and shops amidst eclectic architectural design and decor. Only when you choose to, several desirable grazing or sit down stops can be enjoyed. There are no selected food offerings...only suggestions will be shared with you. some allotted time is planned in order to give leeway to satisfy curiosities. Knick-knacks to be discovered among tiny shops who sell the new and some already loved items. laid back moment for a longer tasting, this type of visit has been created for you. Dedicated cappuccino making at a corner sidewalk cafe in the Villeray quartier. Your dedicated travel bug, food blogger and past Bed and Breakfast host has personally created several Signature visits for you to experience. The Bed and Breakfast experience ultimately helped me realize how I one day would be itching to create unusual visits of Montreal to share with others. During the nine years of hosting these accommodations, I got the opportunity to share what was great and distinctive about Montreal. My background in Interior design enhanced the experience by highlighting the interesting architecture which Montreal is blessed with. On several occasions, I was fortunate to have requests to personally accompany my guests. Many visits were then created without much fuss...especially when I showed off our unique 'quartiers' beaming with charm, culture and tons of character. 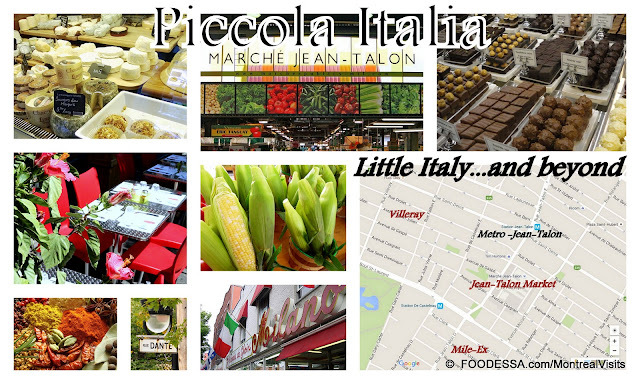 Colourful personality from Montreal's European style Jean-Talon Market in Little Italy.
. During your visit, there are carefully selected routes and food and shop stops for you to discover.
. Many eateries will have several choices for you to pick from and devour to your heart's content.
. You'll be guided from one delectable snack to another, allowing yourself to graze as you choose.
. In order to leave you liberties of your choosing, the visits are based on a pick, pay as you go.
. Also, when possible, special requests can be taken into consideration and worked into the visits. Please refer to the MONTREAL VISITS page for much more info. For questions on the visits please refer to the MONTREAL VISITS page. 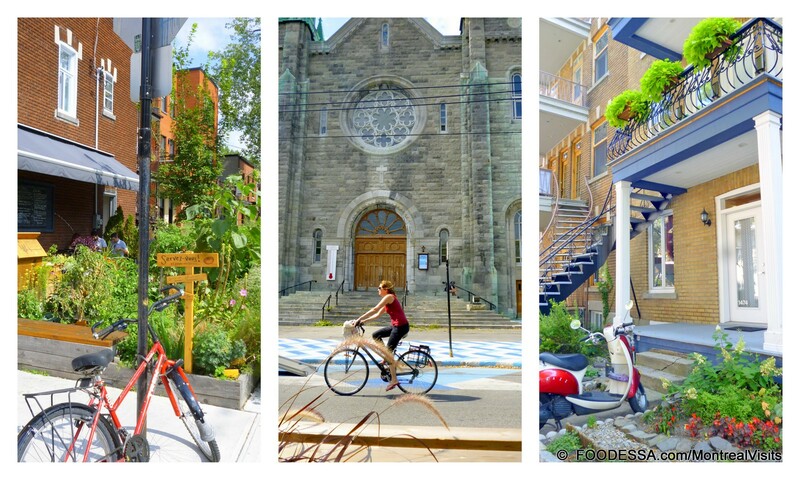 Montreal has a European style charm like no other. Rich, cultural and architectural heritage shine within charming boulevards and side streets. Here's to joining me through a wonderful few hours meandering through several known and some lesser beaten paths. An informative, colorful and memorable experience in Montreal is awaiting your visit. Enjoy more on my Signature Montreal Visits here.